Our winter giveaways have now closed. Thank you for your interest. Ready for a romantic break or some midweek me-time? 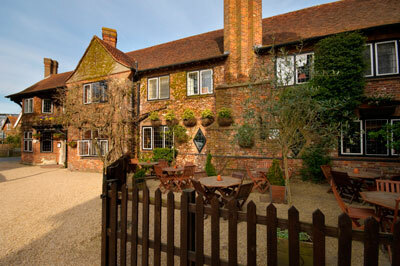 Then The Montagu Arms is the perfect place. Located in the heart of New Forest in the idyllic village of Beaulieu, this country house hotel is steeped in 17th century history. Its unique charm is captivated in 22 luxurious individually designed en-suite bedrooms. During the winter, roaring log fires in the elegant lounge area invite you to simply relax, whilst in the summer, evenings can be enjoyed Al Fresco before retreating leisurely to the stylish conservatory. The prize can be used Sunday-Thursday and excludes Bank Holidays, Christmas and New Year. It is valid for 12 months from January 2015. To be in with a chance of winning this fabulous prize, click here. You could win a superb Season’s Greetings food and wine hamper from Virginia Hayward to enjoy with family and friends or send to a loved one. 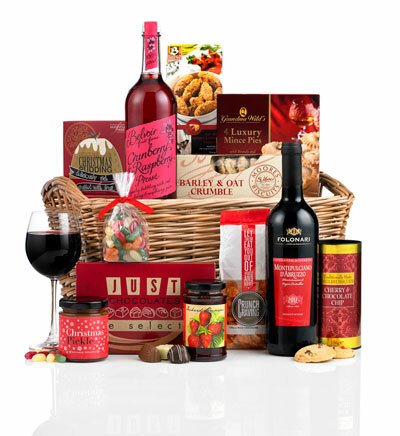 This wicker gift basket is full of treats such as cherry chocolate chip biscuits, chilli rice crackers, oat crumbles, luxury mince pies, chocolates and a fine bottle of red Montepulciano Folonari. Army&You readers can claim a 10 per cent discount by entering the code ARMYANDYOU at the checkout. We have one Season’s Greetings hamper, worth £50, to give away to a lucky reader. Click here to enter. This giveaway has now closed. 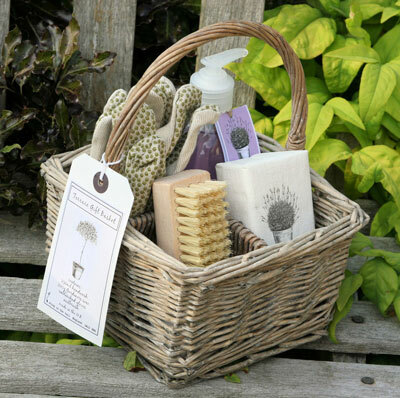 T&Cs: The hamper can be delivered in time for Christmas (subject to delivery location) as long as Virginia Hayward can contact the winner and finalise delivery details by 5pm on Wednesday 17th December. No cash alternative. 10 per cent discount offer is for the product only and excludes the delivery costs. The 10 per cent discount is valid until 21st December 2014 and cannot be used in conjunction with any other promotion. 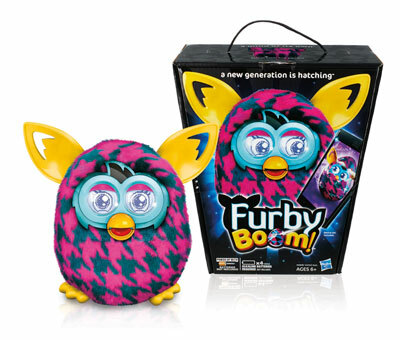 Furby Boom lets you play, chat, dance and interact with an electronic pet like never before! Featuring crazy new designs, your Furby Boom will react to you and other Furbys, and how you treat it will shape its personality. Talk to it, feed it, tickle it… the more fun you have with your Furby Boom the better. We’ve teamed up with The Entertainer to offer two lucky readers the chance to win a friendly Furby Boom. Click here to enter. Discover a whole world of chocolatey fun and enjoy a fascinating, action-packed day out at Cadbury World in Birmingham this Christmas! You’ll be treated to a special pantomime of Snow White and the Chuckle Beans, and Santa will be handing out small free gifts to children visiting his magical grotto. 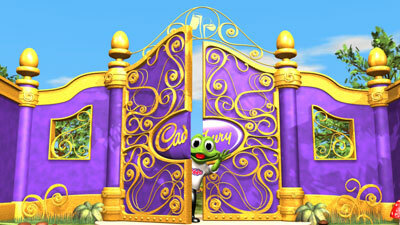 Join Freddo and a whole host of Cadbury characters on an adventurous journey in a brand new 4D cinema experience, complete with motion seats! Click here to be in with a chance of winning a family ticket (two adults and two children) valid until 30 June, 2015. 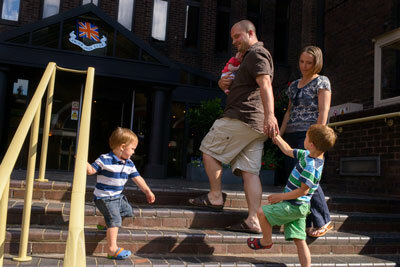 It’s been an exciting year at the Union Jack Club, London’s friendly club for Service families. The new restaurant, with a superb menu, offers stylish dining, complimented by carefully selected artwork that reflects our Armed Forces. The separate buffet breakfast area ensures that the atmosphere is relaxed, and if you don’t have much time, the popular Espresso Bar is an enjoyable alternative. The beds are reportedly so comfortable that getting up in the morning is especially tough – so make sure you pack your alarm! All this in the heart of London, next to Waterloo Station, perfect for exploring all the capital has to offer. Go to www.ujclub.co.uk to book or find out more. You could be heading to the big city with Army&You. We have a two-night stay in a family room (two adults and two children) with breakfast, worth £320, to give away to a lucky reader. Click here and enter now. With one of the biggest ranges in the UK, Skates.co.uk has everything a skater could want. 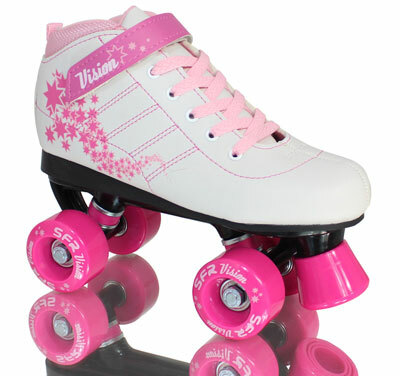 Scooters, Heelys, rollerskates, skateboards, BMXs, ice skates – not to mention protective gear. Skates.co.uk is also proud to offer a Forces discount. Just enter “Forces5” to receive 5 per cent off your order. Whatever they get up to, your little ones won’t come home as clean as they left! 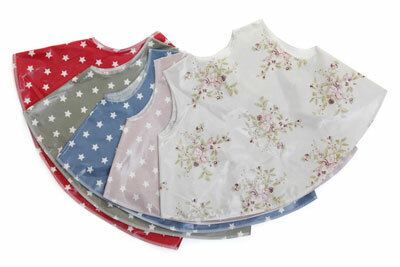 Messy Me tunics (£9.50 from www.messy-me.com) save on wash loads thanks to their wipe clean oilcloth covers. Kit your kids out one of three gorgeous tunics in our giveaway. Click here to enter. Looking for a great year-round attraction? 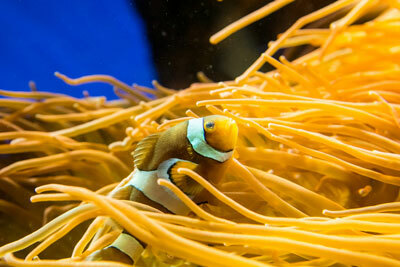 Then dive into The Deep in Hull, one of the world’s most spectacular aquariums and home to 3,500 fish. Journey through a unique blend of marine life from tropical waters to cold Antarctic seas and enjoy interactive and audio-visual presentations. Army&You has a family ticket for four (up to two adults and children age 3-15 years) up for grabs. Click here to enter. T&Cs: Families can be made up of children (aged 3-15 years), students must have a valid photo student ID card with a monthly expiry date, seniors (60+) and up to a maximum of 2 adults. Present the ticket on the day of your visit for free, one time entry to The Deep. Please note this ticket does not qualify for the Day Plus Pass Scheme. Staff reserve the right to refuse entry. Under 16s must be accompanied by an adult. Non-transferable and not for resale. 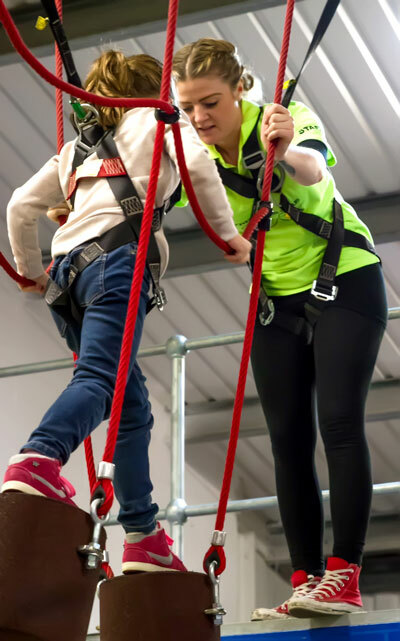 All the family can enjoy a high ropes experience together at Kaos Adventure in Lytham, Lancashire. Children as young as five and adults will love clip-n-play, tree climbing sessions and bouldering. It’s all indoors, there’s soft play for babies and toddlers too and if you prefer to watch you can relax in the comfy seating area and café. Army&You has a family clip-n-play session for four people to giveaway. To enter, click here. For those with a family member due to deploy, Sparkup: The Magical Book Reader is an ideal gift to make sure your little one doesn’t miss out on having a loved one read them a bedtime story. 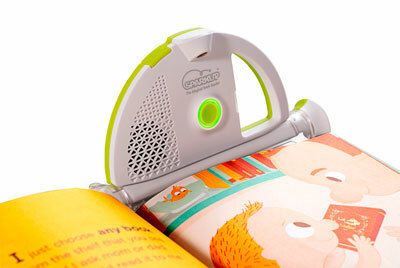 Click here to win one of three Sparkup: Magical Book Readers. Christmas? Already? Fear not; help is at hand. The Great Gift Company has more than 1,000 unusual gifts. With everything from groovy gadgets to stocking fillers, there’s something to suit every taste and budget. The Great Gift Company ships worldwide including BFPO, so visit to www.thegreatgiftcompany.co.uk and start shopping. Four lucky readers will each win a £30 gift voucher. Click here to enter. Thanks for such great giveaways, our family has our fingers crossed! Any south east Asia giveaways? As we are in Brunei. Fingers crossed! Just wish we could get this at work on DII.